Maintaining a healthy smile starts with with proper home care in your personal oral hygiene routine. But for best results, you should aim to complement proper home care with professional dental cleanings. By following good oral hygiene practices, you will significantly reduce the need for future dental work. We all know by now that regular dental appointments and professional cleanings are vital for good oral health. Preventive dentistry is aimed at preventing tooth decay through proper daily home care when it comes to your oral hygiene combined with regular visits to the dentist. X-rays allow dentists to spot dental problems (such as cavities) that might not be apparent. Regularly scheduled dental cleanings every six months, performed by professional dental hygienists who are trained to remove plaque and tartar buildup, are the foundation for preventing tooth decay and periodontitis. 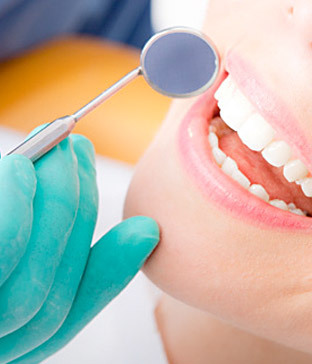 Dental cleanings are comprised of scaling and polishing. Scaling is the process of manual or ultrasonic plaque, calculus and tartar removal from below the gumline. Polishing the teeth with an abrasive fluoride paste using rotary power brushes will assist in strengthening the teeth as well as removing any stains caused by discolouring substances such as coffee, tea, wine and smoke. It also helps to brighten the smile. Fluoride treatments are recommended as an effective tool in cavity prevention, especially for children, by re-mineralizing and strengthening the tooth enamel, making it resistant to decay, and allowing for easier cleaning. The Canadian Dental Association recommends gently brushing your teeth with a soft toothbrush at least twice daily. This will help to remove the plaque that causes tooth decay. Brushing, along with flossing, is one of the most important ways in which you can look after your teeth and gums. 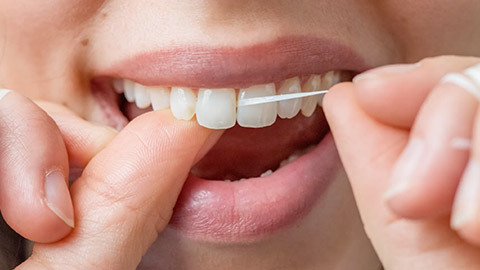 Flossing at least once per day will help to remove bacteria and plaque between your teeth. Keep your teeth healthy and white by practicing excellent preventative oral hygiene habits. Your oral health is part of your overall health. Take care of your teeth now because, after all, an ounce of prevention is worth a pound of cure.